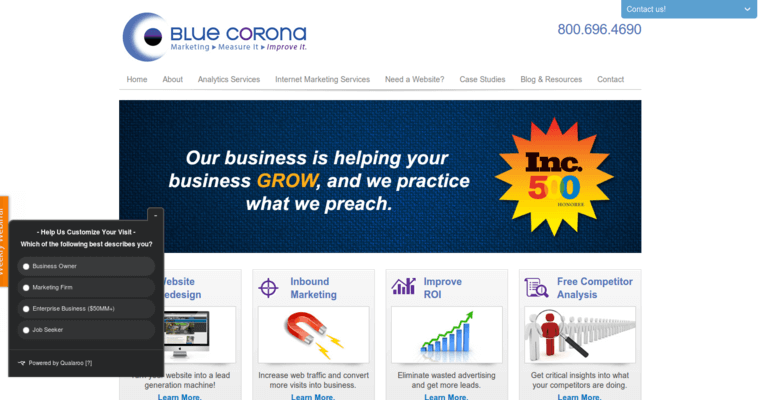 Offering quality SEO solutions for dental practices seeking to rank higher online, Blue Corona can provide you all you online marketing needs with ease. Utilizing their marketing analytics and strategic optimization service, your presence online will grow rapidly and effectively. In order to maximize any marketing tactic, you must have the data tracked accordingly. 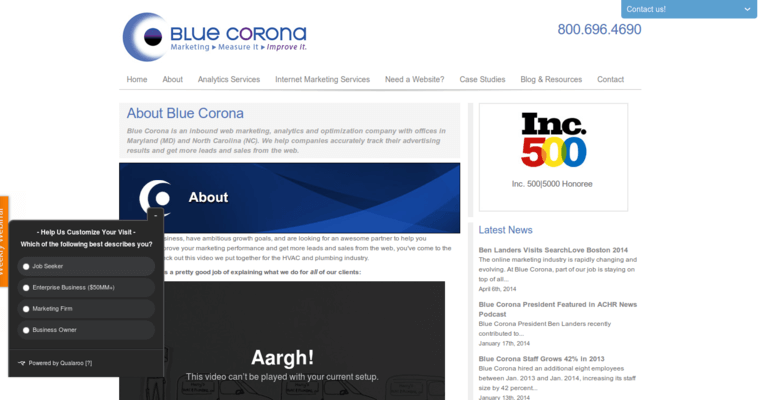 Blue Corona will take note of the fluctuations in your data to figure out what you need to work on. Improving the quality of information you put out online with their knowledge and experience will enhance your chance of standing out in your area. In a world where digital media and technology is changing everyday, it is vital that you do your best as a business to keep up. There are many competing dental practices out there, and potential customers will only go to you if they can find you. 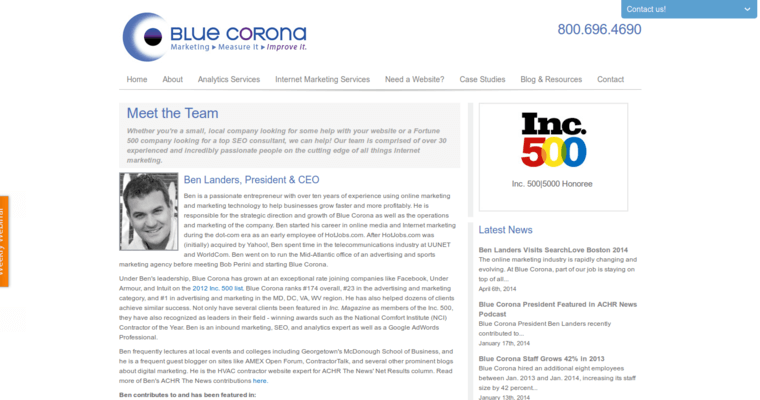 So don't wait any longer to invest in online marketing, as it will pay off in the long run.